I knew Marci, Nick + I would have a special relationship the second I read her submission email on my site. The way she described her love for Nick, the highlights of what was important about to them for their wedding, and the mention of one of our favorite music artists, (not to mention our identical names, Marcella, but go by Marci) all made me more than pumped to meet them. After their engagements at Cape Kiwanda in November, I knew we'd be friends for life. When I look back through these photos, I experience the emotions I imagine a best friend would feel, and that was a really special thing to me. I remember the emotions, with a fluttery heart and a little wish that I could be back in that moment, smile wide across my face as I snap photos and watch them during their first dance to Across the Room. The wedding weekend started on Friday, when Wyat and I arrived to Hood River. We stayed in the bridal house with Marci + Nick, and got sleepy watching the office all together. When the 16th of June finally came, the day was cloudy and speckled with rain, but beautiful and true to that Pacific Northwest. Marci + Nick read their private vows in a field right after their first look, and the rain started to fall. 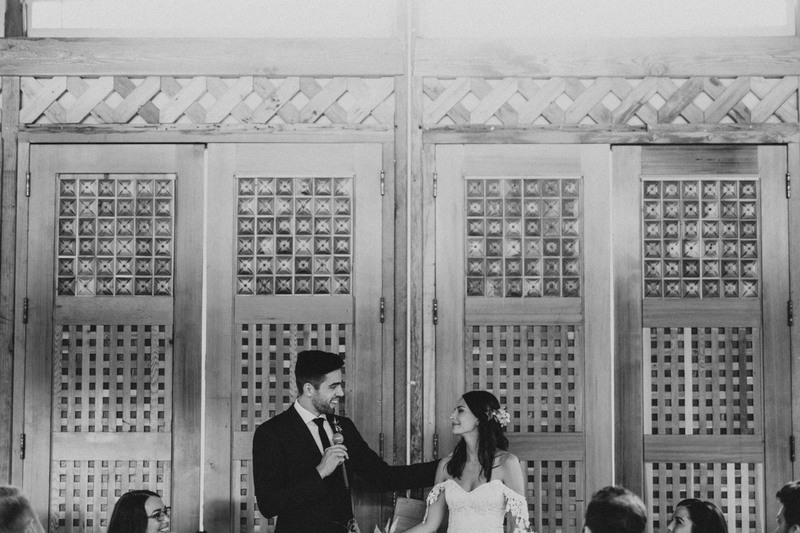 Both of their dad's officiated the ceremony together, and they took a shot of whiskey (a Swentz family tradition) right before the first kiss. We drank local beer, ate the most beautiful meal (all sourced from the farm! ), and danced all night to Odesza under the lanterns. It was my favorite day. We did Karaoke at a Chinese restaurant downtown, and just as the day had started we ended it back at the house with Marci + Nick. Never have I spent the night with my couple on their wedding day, but it's safe to say our friendship was solidified when we were dancing to Pusha T in the kitchen at 2AM. It's people like Nick + Marci who make my heart soar with admiration and love for my job. Who treat me like a friend, and not a vendor. Creating a space where I can feel comfortable and confident in creating, where the most beautiful and authentic moments are born. I love you guys.